Potatoes are a considered to be a cool-season vegetable because they only actively produce a crop of potatoes when the soil temperature is between 60 to 70 degrees Fahrenheit. Once the soil temperature tops 80 degrees Fahrenheit, the tubers fail to grow. Potatoes can be grown in a wide range of soil conditions. Their ideal is a sandy loam. The soil should drain freely. 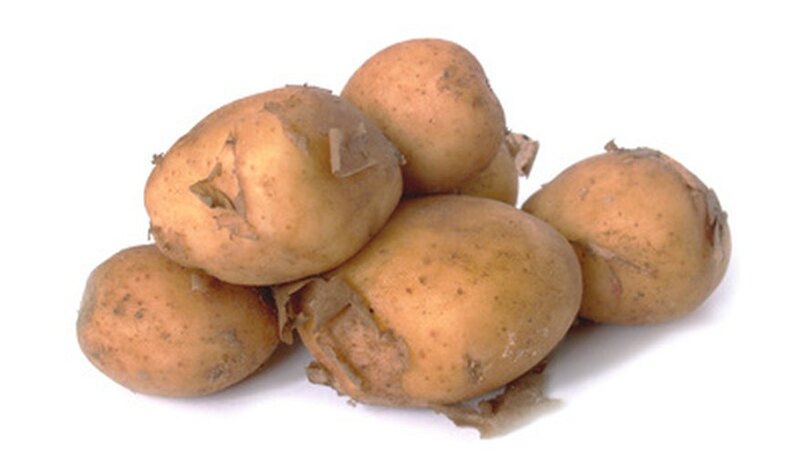 If water accumulates, the plant will fail to produce adequate tubers and potato rot can easily occur. 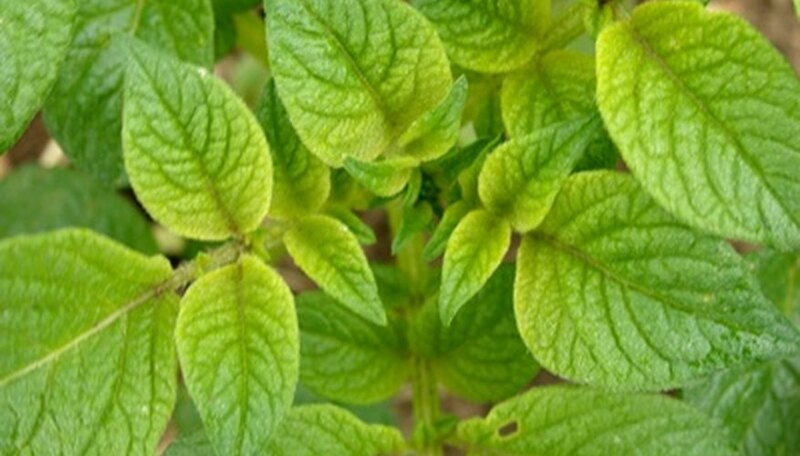 The potato plant prefers a soil pH of between 5.2 to 5.5. Potato plants are normally grown from the purchase of seed potatoes, which are simply small potatoes. 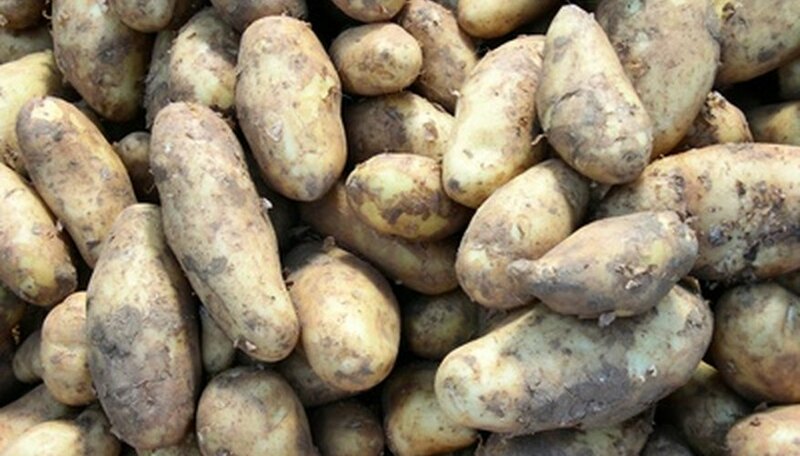 All seed potatoes for purchase and propagation should be certified free of potato diseases. Seed potatoes can be purchased at garden centers. The seed potatoes should be placed in a cool area, such as a cellar or refrigerator, for two weeks. After a period of cooling, the seed potatoes can be laid out in a sunny location to await sprouting before planting. Each seed potato will require turning, so even sprouting on all sides begins. Seed potatoes that are small can be planted whole, but if the seed potato is large, cut it in half or quarter cubes. Make sure the sections have eyes that have sprouted. Let cut potatoes sit for a day so they can form a callous before planting. Potatoes should be spaced a foot apart and covered with an inch of soil. Top growth normally occurs in one to two weeks. As the potato plant grows, the soil should be mounded around the base of the plant to keep the tubers that are located toward the soil surface covered with soil for maximum growth. When the potato plants stand up to 18 inches, tall there should be a hill of soil around the base that measures approximately 5 inches, according to Ohio State University's website. 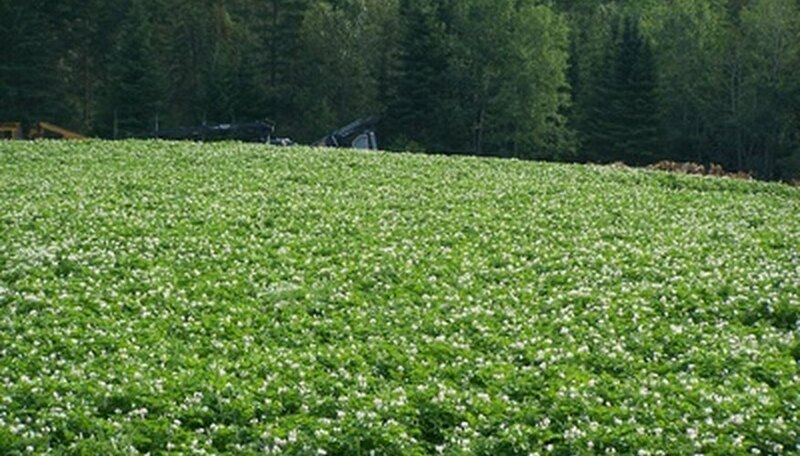 Successful potato plant growth often requires the use of pesticides to prevent numerous pests and infections. When the leaves of the potato plant form, a diligent pesticide dusting and spraying regiment should commence to protect the crop. Follow the directions on the pesticide label for application instructions. Weekly applications are often required for control. 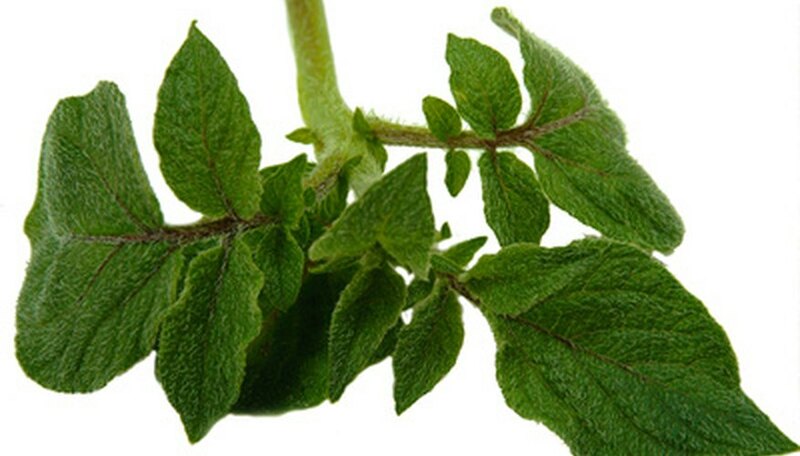 Potato plants are commonly afflicted by leafhoppers, aphids, Colorado potato beetles and flea beetles. 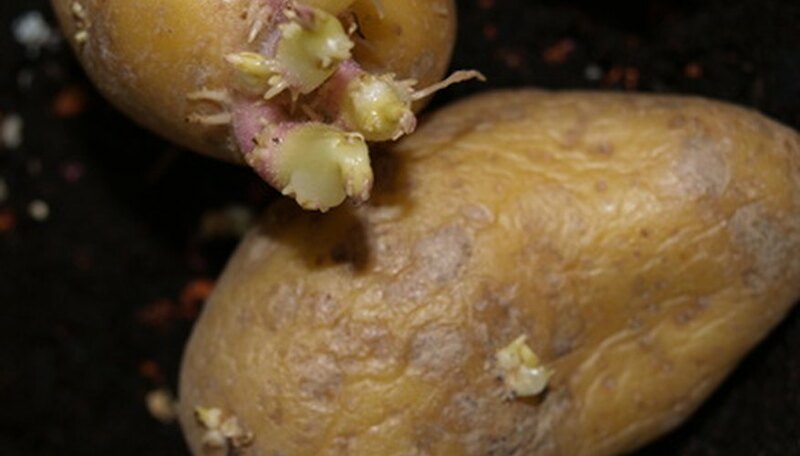 The foliage of the potato plant can be afflicted with late and early blight. 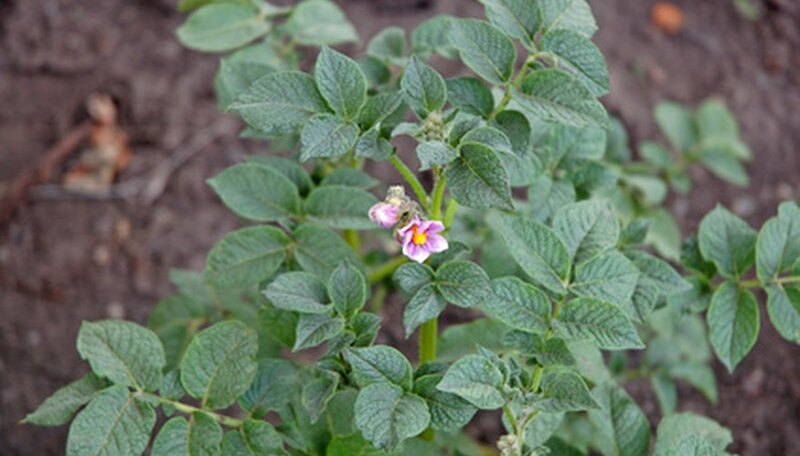 Potatoes can be successfully harvested when the plant flowers. Once the flowers appear, the plant's foliage will begin to yellow. This normally occurs in mid-September. Dig up the potato plant to harvest the potato tubers and discard the foliage. Potatoes should be stored in the dark at temperatures between 37 to 40 degrees Fahrenheit with ample air circulation, according to the University of New Hampshire Cooperative Extension.